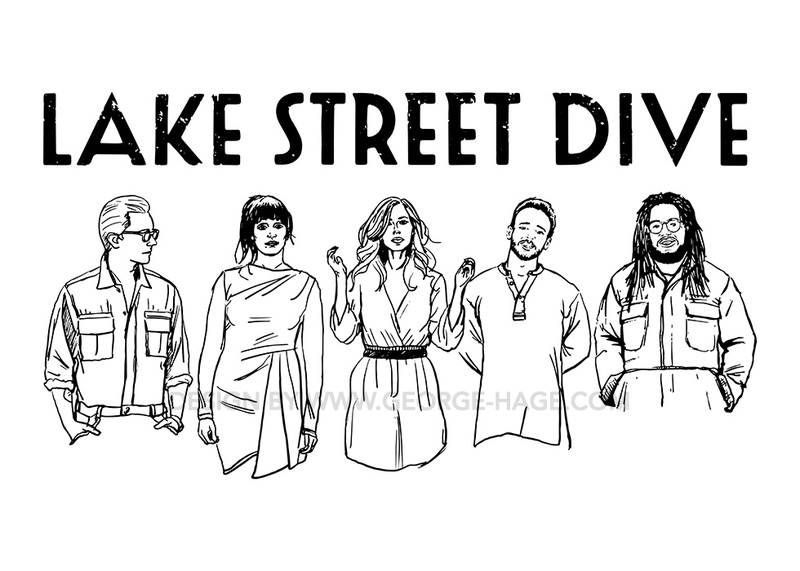 I had the pleasure of creating this artwork for the band Lake Street Dive. The band requested an illustrative spin on their album cover photo. 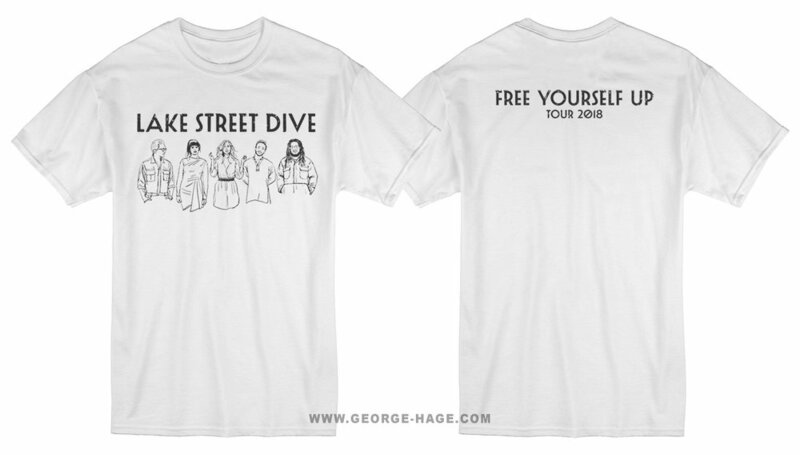 This design is being used as a tour exclusive shirt and die-cut sticker in support of their album Free Yourself Up, which debuted at #8 on the Billboard Top 200. Really enjoying this record as well!